I am so happy to be back in a somewhat full affect blogging mode. I LOVE anything kraft!! I love that you can do so much with it and my project today is a perfect example of that. I bought these kraft bags, for sending gifts and little "thank you's" to some of my crafty friends. The bags themselves are pretty bland, but you can dress it up in no time at all. I used White Dye ink and Braided Flower Border, to create the bottom design of the bag. Easy right?!?!? You can do this with practically any border stamps. 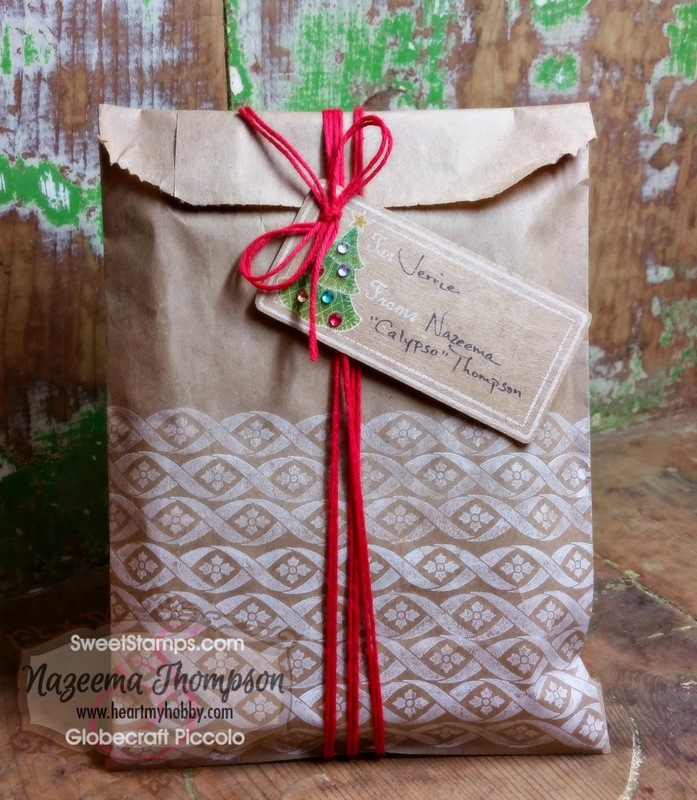 I love my SweetStamps stamps and love finding new ways to use them. The tag was super fun and also very simple to create. 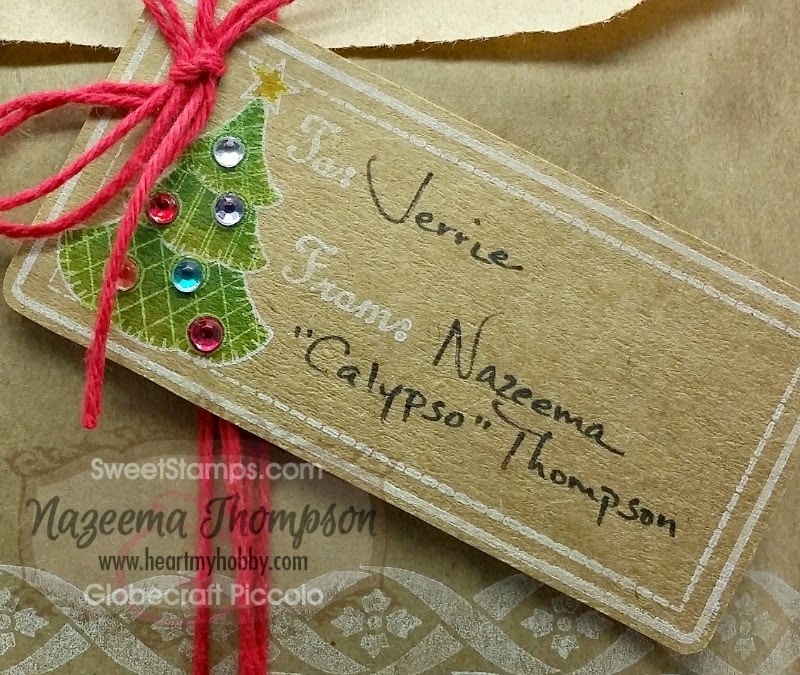 I stamped Tree Gift Tag with the same White Dye ink, onto kraft cardstock. I trimmed around the stamp to leave a thin border of kraft on the outside. Then I used my Copic markers (YG67, 17, 25) to color the tree. I added clear gems and those too were then colored with Copic (V17, BG45, R27, YR18, Y38). How stinking cute is that???!!!! This is just so cute and what a nice treat to add onto a present! Thank you for joining us at ABC Challenge. Good luck and be sure and play with us again! Schöne, Stillvolle Tüte zum verpacken. Danke fürs mitmachen bei Bastel-Traum.